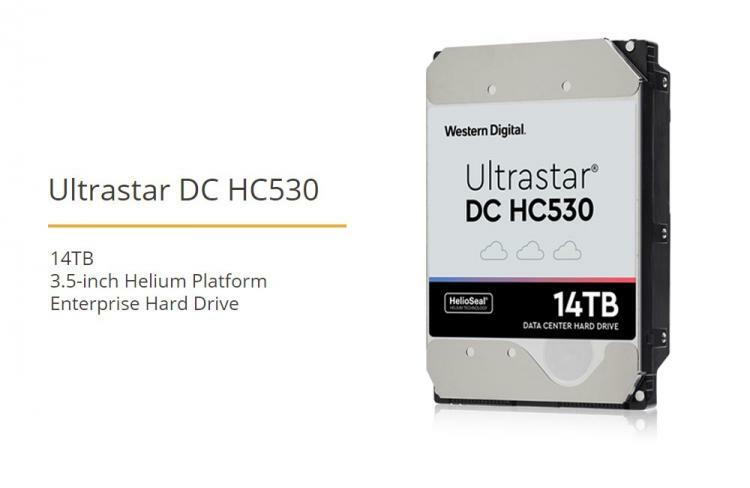 Western Digital introduces the Ultrastar DC HC530 14TB hard drive featuring the HelioSeal design that boosts reliability, quality and power efficiency. The Ultrastar DC HC530 is built on Western Digital’s fifth-generation HelioSeal technology and specifically designed for cloud and enterprise data centres offering cost-efficient data storage wherein storage density, cost per data storage and wattage per data storage are important matters. The patented HelioSeal process seals helium in the drive to provide unbeatable capacity, exceptional power efficiency and long-term data centre reliability. The low-power design keeps costs down without compromising performance, giving data centres a win-win solution. The Ultrastar DC HC530 will be available in SAS and SATA interfaces. The Ultrastar DC HC530 14TB HDD is currently shipping to selected hyperscale cloud clients for qualification.